At a press conference hosted by the New York International Auto Show, Bridgestone Corporation, and Autoneum, the BMW 7 Series was declared the 2016 World Luxury Car. The BMW Group is no stranger to the World Car Awards – now in their 12th year. BMW cars have previously won the World Green Car title two years in a row (2015 – BMW i8; 2014 – BMW i3) and in 2008 for the BMW 118d with Efficient Dynamics. In 2006, the BMW 3-Series was the World Car of the Year while in 2014, the BMW i3 won World Car Design of the Year. The World Luxury Car category was created in 2014 to acknowledge higher-priced premium models selling in more limited numbers worldwide. This year’s winner was chosen from an initial entry list of eight prestigious cars from all over the world, then a short list of three finalists: the winner as well as the Audi Q7 and the Volvo XC 90. The World Car jurors observed: This is the flagship model for the Bavarian car maker, and so it simply has to be the epitome of what the brand represents in terms of technology, design and performance. 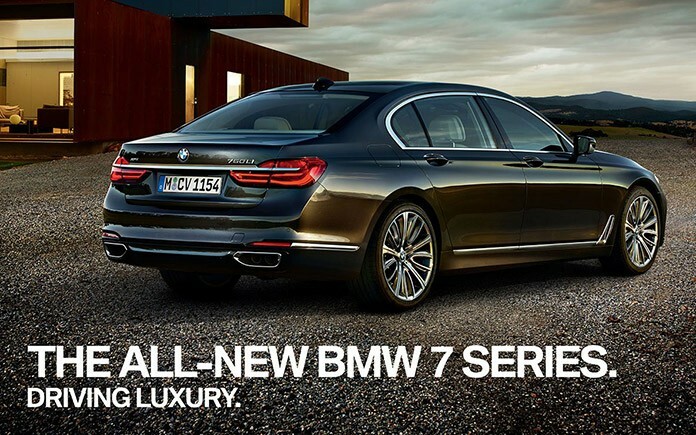 And the new 7 Series certainly delivers. It is very much the new face of BMW in the new family design – and yet it is a classic BMW all at once. It drives phenomenally well courtesy a new range of engines, and has a sporty drive dynamic that the rivals in the segment cannot claim as their USP. This comes from a 130 kg drop in weight thanks to the new ‘Carbon Core’ frame. 25 new features, of which 13 are segment firsts! Inside the cabin, BMW has taken things up a notch on luxury, pampering the owner with not just very comfortable and well designed seating, but with loads of technology, entertainment too. The new BMW 7 Series brings in new features like the ambient ‘sky lounge’ sunroof, the ambient air package and the all-new gesture control. Vehicles in all award categories are selected and voted on by an international jury panel comprised of 73 top-level automotive journalists from 23 countries around the world. Each juror was appointed by the World Car Steering Committee on the basis of his or her expertise, experience, credibility, and influence. Each juror typically drives and evaluates new vehicles on a regular basis as part of their professional work. Through their respective outlets they collectively reach an audience of many millions world-wide. The international accounting firm KPMG tabulates the jurors’ ballots.